As long as there have been secret societies, there have been secret codes. Whether the method used is secret hand signs, words with hidden meanings or numerology, the intent has been to communicate information to the initiated few while withholding that same knowledge from the masses. Secret societies have goals and agendas which the masses would find revolting and would seek to stop, if they could. Most secret societies trace their origins to hundreds, in a few cases, thousands of years ago. Members, working to further their society’s goals, have infiltrated governments, churches, industry and even finance. Kings, presidents and high-ranking officials have been assassinated; wars fought – all to further the plans of a handful of powerful, evil elite. 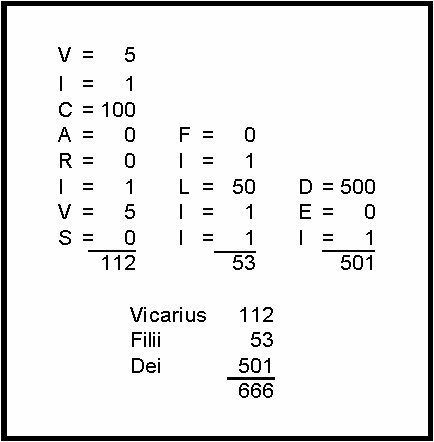 While Scripture is full of symbols rich in meaning, “666” is not a number that originated in Heaven’s secret code. Rather, it is an extremely ancient number that had meaning to those initiated in the pagan mystery religions. It represents a power that has long cooperated with Satan in his rebellion against Heaven. Yahuwah has revealed that this same power through which Satan has worked for millennia will again rise to world-wide prominence at the very end of time. Amulets in Berlin Museum. Drawings from photographs, 1910. A solar grid using modern numbering. 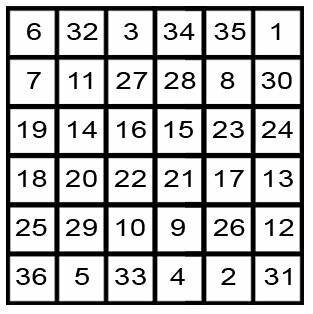 On the Sigilla Solis, appeared a grid containing all of the numbers from one to 36. Each column as well as each full diagonal, when added together, equaled 111. Six columns of 111 equaled a grand total of 666, or 6 X 11 = 666. This number, originating in the ancient mystery religions of Sumer and Babylon, has come down through time and still contains meaning to those who understand its significance. It was for this reason that Yahuwah gave the number 666 in Revelation as an identifier of an ancient persecuting religious power that would again arise and hold despotic sway at the very end. While the number dates back to antiquity, the use of the title by the pope dates back to the eighth century when a forged document entitled the Donation of Constantine used the phrase, applying it to popes to prove apostolic succession from “Peter.” This paper was confirmed by church council, incorporated in Roman Catholic canon law by Gratian, later endorsed by Pope Gregory XIII; and cited by the Catholic scholar and historian Lucius Ferraris, who proved that it is a forged document. Ut sicut Beatus Petrus in terris Vicarius Filii Dei fuit constitutus, ita et Pontifices eius successores in terris principatus potestatem amplius, quam terrenae imperialis nostrae serenitatis mansuetudo haber videtur" Lucius Ferraris, Prompta Biblietheca, (edition of 1890), art, "Papa," II, Vol. VI, p. 43. As the blessed Peter is seen to have been constituted Vicar of the Son of God on the earth, so the pontiffs who are the representatives of that same chief of the apostles, should obtain from us and our empire the power of a supremacy greater than the clemency of our earthly imperial serenity. Christopher B. Coleman, The Treatise of Lorenzo Valla on the Donation of Constantine, p. 13. 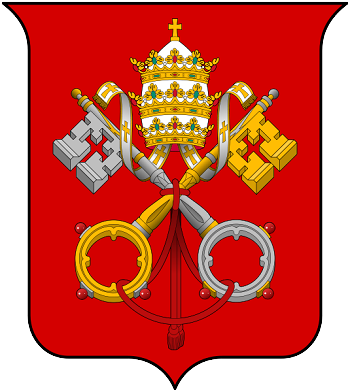 In the early years of the first millennium after Yahushua, the Roman Catholic Church was growing in power and influence. It did this by rechristening paganism with new “Christian” names. This is an important point. Christianity did not absorb paganism. Rather, paganism, pure and unadulterated, was renamed and passed off as Christianity. This gave power to the Bishop of Rome over both the Christians and the pagans. This link from the pope to paganism still exists and it is this very paganism-disguised-as-Christianity that Yahuwah reveals in Revelation will be a major persecuting power against the righteous in the days ahead. By warning that “the number of a man” is 666, Yahuwah was specifically identifying this fearsome power. [There is] the strongest evidence that, in countries far removed from one another, and far distant from Rome, these keys were known by initiated Pagans not merely as the “keys of Peter,” but as the keys of a Peter identified with Rome. . . . The existence of such a title was too valuable to be overlooked by the Papacy . . . 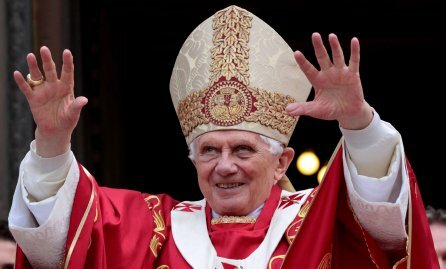 When the Pope came, as he did, into intimate connection with the Pagan priesthood; when they came at last . . . under his control, what more natural than to seek not only to reconcile Paganism and Christianity, but to make it appear that the Pagan “Peter-Roma,” with his keys, mean “Peter of Rome,” and that that “Peter of Rome” was the very apostle to whom the Lord Jesus Christ gave the “keys of the kingdom of heaven”? Had power to give life unto the image of the beast, that the image of the beast should both speak, and cause that as many as would not worship the image of the beast should be killed. And he causeth all, both small and great, rich and poor, free and bond, to receive a mark in their right hand, or in their foreheads: And that no man might buy or sell, save he that had the mark, or the name of the beast, or the number of his name. This passage reveals that the Roman Catholic Church, with the pope at its head as inheritor of the mystery religion of Babylon, will wield control on a worldwide basis. Those who do not conform will be denied the right to buy or sell and, eventually, will be deemed worthy of death. Today, the entire world regulates its work, school, holiday and worship times by the calendar devised by the Roman Catholic Church. It is even called the “Gregorian” calendar after Pope Gregory XIII. Paganism is alive and well within Catholicism. For Christianity, the deception is even worse. While Jews and many Protestants realize that the pope does not really have the authority to change Yahuwah’s Sabbath and create his own worship day on Sunday, these same people are deceived into thinking that Saturday on the Gregorian calendar is the true seventh-day Sabbath of Scripture. All who calculate their days of worship by the pagan/papal Gregorian calendar are, in ignorance, worshipping on pagan worship days and honoring pagan deities! Saturday is named after “Saturn,” the most blood-thirsty of all the pagan gods. This is the secret hidden at the very heart of the pagan mystery religions. Worshipping on Saturday/Saturn’s day honor’s Satan, the source of all rebellion and pagan religion. Saturn and Mystery are both Chaldean words, and they are correlative terms. As Mystery signifies the Hidden system, so Saturn signifies the Hidden god. To those who were initiated, the god was revealed; to all else he was hidden. Now, the name Saturn in Chaldee is pronounced Sat?r; but, as every Chaldee scholar knows, consists only of four letters, thus – St?r . . .
ALL worship on a pagan calendar gives glory to Satan, whether that day be Sunday, Saturday or praying at the Mosque on Friday. To truly honor the Creator, one must worship Him on the seventh-day Sabbath of His appointed method of time-keeping: the luni-solar calendar. Mystery Babylon, with its ownership of the modern calendar and its worship days, has fallen. It has fallen with the restoration of the knowledge of the true calendar and the Sabbath of Yahuwah. Scripture reveals that the final generation will exalt the Creator by keeping ALL of His commandments holy, including worship on the seventh-day of the Biblical calendar. 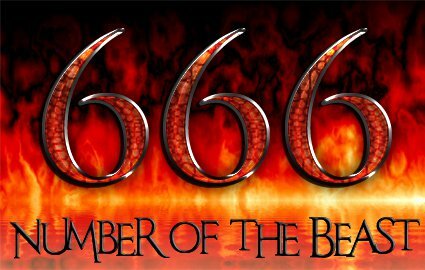 The lost will cooperate with the identified 666 beast power of the Roman Catholic Church and lose eternal life. 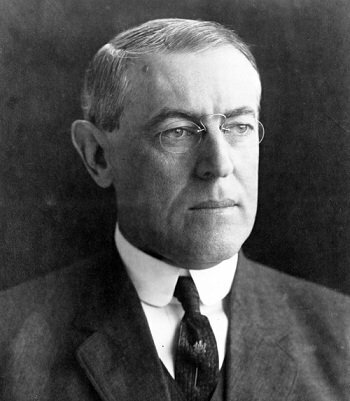 1 Woodrow Wilson, The New Freedom: A Call for the Emancipation of the Generous Energies of a People, (New York: Doubleday, Page & Co.), 1913. 2 All Scripture references taken from King James Version unless otherwise noted. 3 Roy Allen Anderson, Unfolding the Revelation. See pages 125-127. 4 Alexander Hislop, The Two Babylons, p. 208. 5 Hislop, ibid., pp. 208-210, emphasis original. 6 Ecclesiastical Review, February, 1914. 7 Hislop, op. cit., p. 105, emphasis supplied. 8 Hislop, ibid., pp. 269-270, emphasis original.